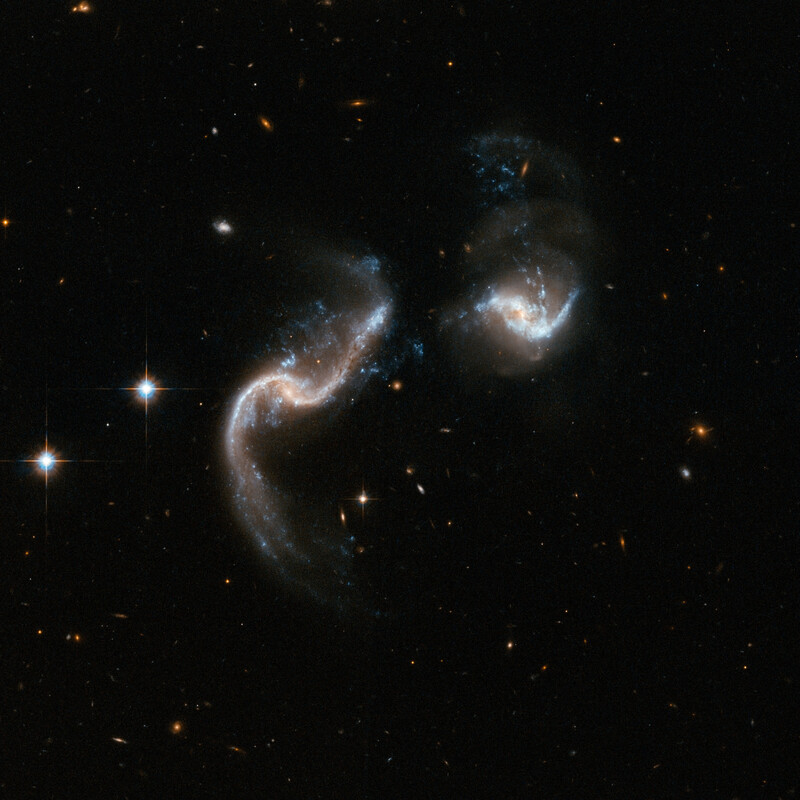 Arp 256 is a stunning system of two spiral galaxies in an early stage of merging. The Hubble image displays two galaxies with strongly disrupted shapes and an astonishing number of blue knots of star formation that look like exploding fireworks. The galaxy to the left has two extended ribbon-like tails of gas, dust and stars. The system is a luminous infrared system radiating more than a hundred billion times the luminosity of our Sun. Arp 256 is located in the constellation of Cetus, the Whale, about 350 million light-years away. It is the 256th galaxy in Arp's Atlas of Peculiar Galaxies. This image is part of a large collection of 59 images of merging galaxies taken by the Hubble Space Telescope and released on the occasion of its 18th anniversary on 24th April 2008. Position (Dec): -10° 22' 3.59"